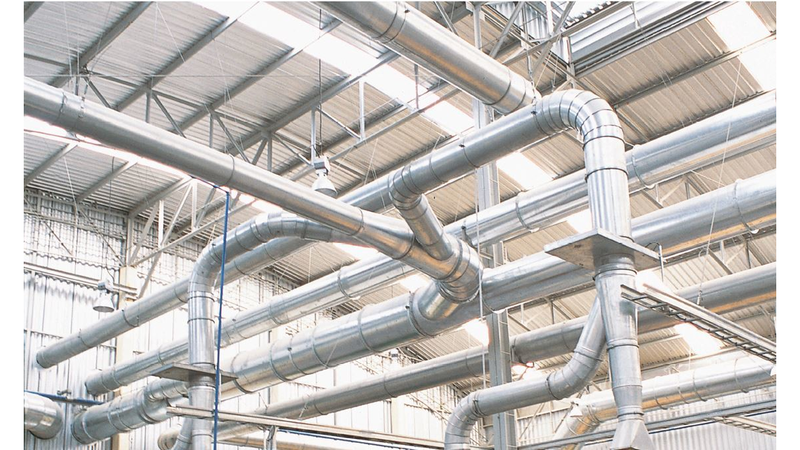 The folded QF pipe system is made entirely of galvanised steel sheets and is characterised by high dimensional stability and a smooth surface. The components are provided with a rolled collar, on which the QF clamp is attached. The clamp has an internal seal so that an airtight seal is achieved. No tools are required as it is a spring clamp, which saves time during assembly and possible modifications. The QF system offers a complete range of accessories: 60° Y-branches, 30° connectors, 30° branches, 90° connectors, reducers, sliders, automatic sliders, etc. This enables individual pipe connections, great flexibility and adaptation to other pipe systems.